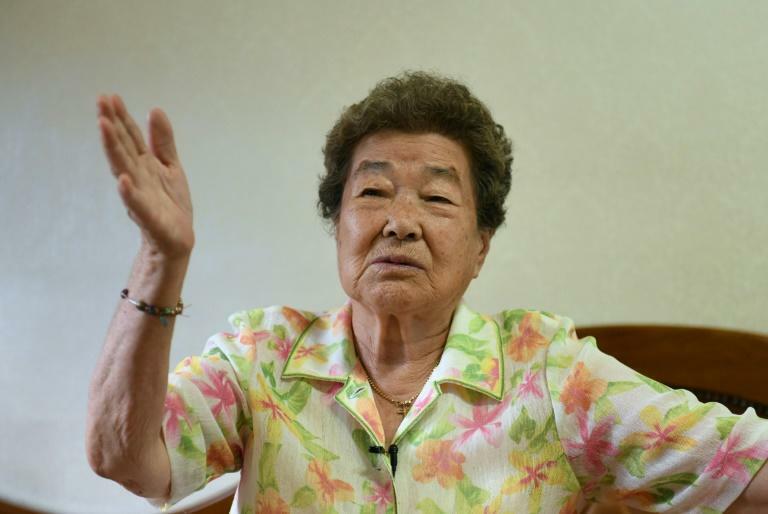 The first reunions in years of families divided by the Korean War evoke bittersweet memories for Kim Jong-gyu, whose few hours with her brother in 2014 -– under the watchful eyes of the North's agents -– were probably their last ever together. "I felt so lucky and so happy to see that my brother was alive," said the 83-year-old. "But seeing him for only a few hours after being separated for several decades was really harsh," she told AFP. "It was way too short, and too heartbreaking." 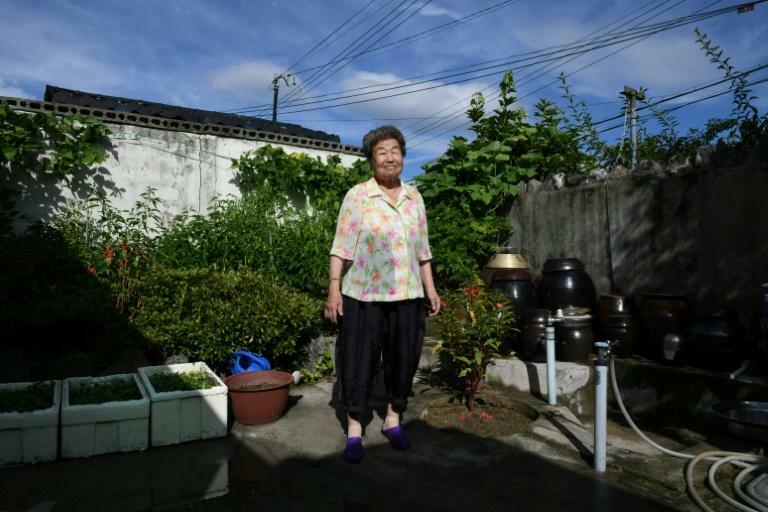 Kim is one of the dwindling number of people left whose families were torn apart during the 1950-53 conflict, which sealed the division of the Korean peninsula. Most have died without ever seeing their loved ones again. Since 2000, the two Koreas -- between which all civilian communication is banned -- have held 20 rounds of family reunions, largely when their volatile relations have eased. The latest meetings are the first in three years, a period during which the nuclear-armed North has carried out three atomic tests and scores of ballistic missile launches. 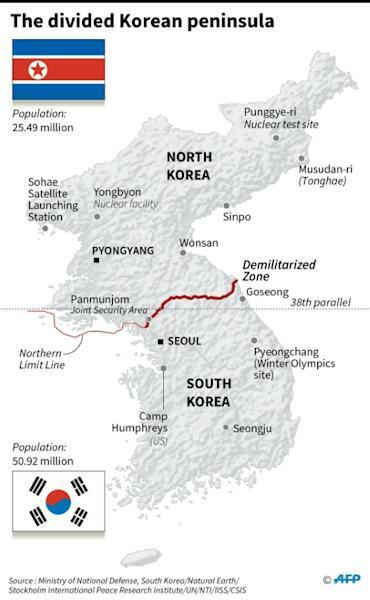 The South's President Moon Jae-in and the North's leader Kim Jong Un agreed to resume the gatherings at their first landmark summit in April, held in the Demilitarized Zone that runs across the peninsula. The reunions will see a total of 181 Southerners cross the frontier for three-day visits to meet their relatives at the North's scenic Mount Kumgang resort, with one group going on Monday and a second following on Friday. Participants are chosen by lottery -- after which checks are carried out to ensure their relatives are still alive -- and are seen as extremely lucky. But the short, highly-choreographed events meant to help assuage wounds that have burned for more than a half century barely allow them the chance to try. Each time, the Southerners and Northerners are confined to two different hotels and allowed to see each other only over two meals and a separate two-hour session, limiting their overall reunion to a total of only about six hours. The years have often taken their toll and some find it hard to mend the decades apart, clinging to senile or almost-deaf parents or siblings, tearfully shouting "Don't you remember me? It's me!" before bitterly giving up attempts to communicate. At Kim's reunion in 2014, some Northerners were seen bellowing speeches extolling the "Great General" and a Southerner sang the praises of Lord Jesus to their relations from the other side, who looked visibly uncomfortable. Another was traumatised by the sight of her emaciated family members. "I saw one (Southern) lady crying in the bathroom during the reunion, beating her chest and murmuring repeatedly 'I shouldn't have come'," Kim said. "She was apparently shocked at the sight of her relatives who looked so poor." Her brother Kim Hui-yong -- aged 88 at the time -- was paralysed on one side. "I had so many questions to ask and had so much (to) tell... but I chose my words carefully and spoke what I thought was really necessary," Kim said. "I was afraid for his safety just in case... you never know how and when one could get into trouble in the North." The eldest son among six siblings, Hui-yong set off from the family's hometown in rural southern Yeongju county in 1942 aged 17 -- when Jong-gyu was six -- to look for work. At the time the resource-rich northern part of the peninsula was more developed than the agrarian south, and he eventually got a job at a factory in the now North Korean city of Hungnam before the war broke out. "My brother was the smartest one among six children of my family, and losing him was losing a bright light in my family," said Kim, who was accompanied by two younger sisters not even born when Hui-yong left. Their parents missed him all their lives, his mother often staying awake past midnight listening to a locomotive rumble by a nearby station, hoping that her son might finally be on a train returning home. Both her parents and two other brothers passed away before seeing him. "They died one by one, passing the dream of being reunited with the oldest brother to the next," she said. "Then it was my turn... and I saw the whole family's dream finally come true." The two siblings tearfully said goodbye, although her brother told Kim: "There could be a day when we will meet again. Let's bid farewell without crying." Back at home in Yeongju, Kim goes to church every Sunday to pray her brother is still alive and healthy, and for the two Koreas to reunify. "But I don't think I'll see him again," she said. "I think he must be dead by now. "At least I saw him once, though only for six hours. I am blessed."